"I am delighted to take over the management of the Paris Retail Week trade fair. I was lucky to be able to participate in the launch of this event, which has become the European meeting place for experiential and connected commerce. With the entire team, we intend to continue this momentum by offering visitors and exhibitors an event with ever-increasing quality and one that is in step with the trends in the sector", said Arnaud Gallet. "Each edition thus has a main theme on which we base the content of our conferences. This year will be devoted to the notion of Smart Phygital." In a context in which the omni-channel approach has become standard, there are no more barriers between on-line and off-line. The customer experience is a reality everywhere and at any time. Hence the growing importance of magnifying this experience by injecting intelligence into all points of contact. IoT, robotics, virtual and augmented reality and automation create a link between all the emerging tools and innovations and enable the fusion of on- and off-line experiences. Thanks to the IoT, the shop becomes intelligent both to offer service and to recover and process data. Layout and scenography will give rise to a new environment to enhance the sensory and immersive experience. Data, artificial intelligence and bots help to fluidify the online purchasing path, while virtual and augmented reality and "mobile only" bring these two worlds together. Today, retail is SMART. It apprehends and grasps artificial intelligence in an effort to constantly improve the customer experience. It marries (at last!) the on- and off-line and heralds the arrival of the Phygital. Thus, the 2018 edition of Paris Retail Week will focus on Smart Phygital: the final phase of the union of shops and digital. "The 2018 edition will gather together all the suppliers offering retail and e-retail visitors a 360° palette of solutions. Startups will also be well represented, with a dedicated area and players like French Tech, Picom, or Le Club du Commerce Connecté. We will also accelerate the internationalisation of the fair with an increasing number of professionals, notably from Europe and the United States, and the conferences will deliver exceptional content, with top-level French and international speakers. Our Paris Retail Awards will highlight the most innovative solutions of the year. Finally, our Paris Retail Tours will provide the opportunity to leave the exhibition centre to visit the most remarkable Parisian stores in terms of customer experience. Retail is at a historic turning point and Paris Retail Week will reflect this vitality and provide a clear view of the present offer. 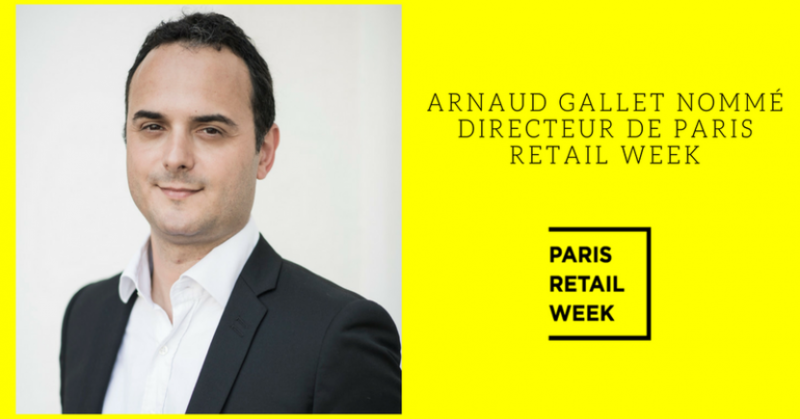 I will be very happy to welcome all visitors to this 4th edition", concluded Arnaud Gallet, Director of Paris Retail Week.